This Messianic study on Romans is definitely one produced for the 2010s, and for the challenges that the Messianic movement presently faces! 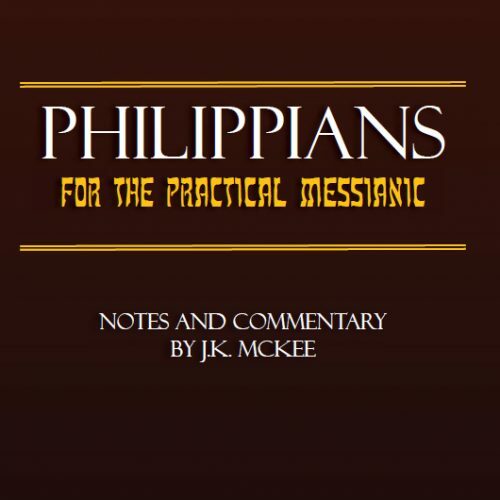 Messianic Apologetics editor J.K. McKee offers a compelling examination of this letter, appreciating the perspectives of Law-positive Christian traditions which have preceded us, but one which is also engaged with some contemporary perspectives. These include proposals present via the New Perspective on Paul, studies and thoughts regarding the “I” of Romans ch. 7, egalitarian views regarding figures such as Phoebe and Junia in Romans ch. 16, and most especially current Messianic handling of the topic of Israel in Romans chs. 9-11. Paul’s letter to the Romans is easily discerned to be the most influential letter ever written in human history. It has had a significant impact on religious authorities, governmental authorities, and philosophies on God, human behavior, and societal order. There is no denying the great theological importance that the Epistle to the Romans has had throughout Christian history, especially since the Protestant Reformation. Romans was written against the backdrop of both the Apostle Paul setting his ministry activity westward toward Spain, and the Roman Jewish Believers returning to Rome after the Edict of Claudius, and finding that things would not exactly be the same with the assembly of Messiah followers being majority non-Jewish. Paul’s letter to the Romans was written as a presentation of his theology of the gospel, to a group of people with whom he was not directly acquainted, but also to issue some admonitions to their circumstances, so that all might get along. Romans is a key epistle for Pauline theology to be sure, regarding issues surrounding salvation, justification and righteousness, the Jewish people and the Kingdom of Israel, the nations, and the Torah of Moses. Yet, Romans is also about some significant First Century issues regarding the redemption of the Jewish people and the nations, and them functioning together in one Body of Messiah. In much of Romans examination, only up until the past few decades, Paul’s letter has principally been viewed as a theological treatise and not a letter written to ancient Messiah followers. 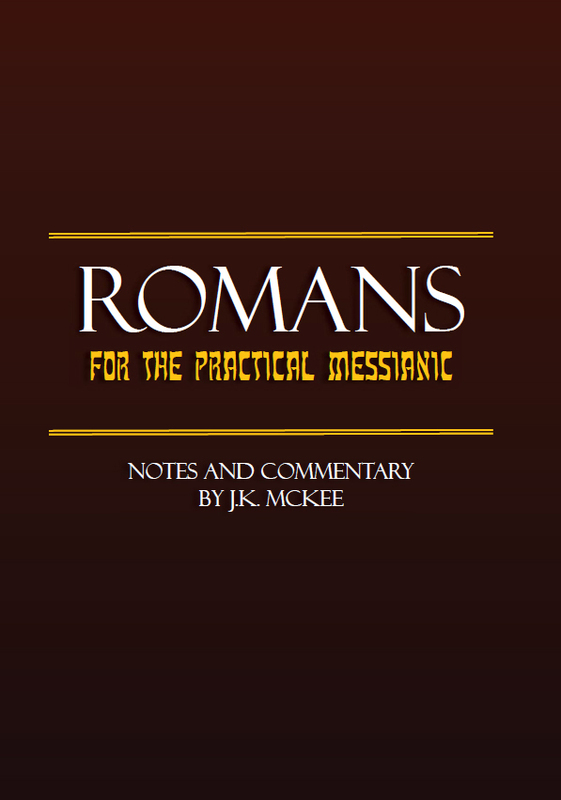 While there are many useful perspectives and insights offered by those past voices who have considered Romans—the setting of Romans is quite important and most relevant for the broad, contemporary Messianic movement. Much of the ancient setting of Romans, with the Jewish Believers getting reintegrated into the fellowships of Believers, parallels much of what we see in our own faith community. The Messianic movement of today is a majority non-Jewish group of people—yet both Jewish and non-Jewish Believers do rely on one another, and should be eagerly about “lov[ing] one another with mutual affection; outdo[ing] one another in showing honor” (Romans 12:10, NRSV). This Messianic study on Romans is definitely one produced for the 2010s, and for the challenges that the Messianic movement presently faces! 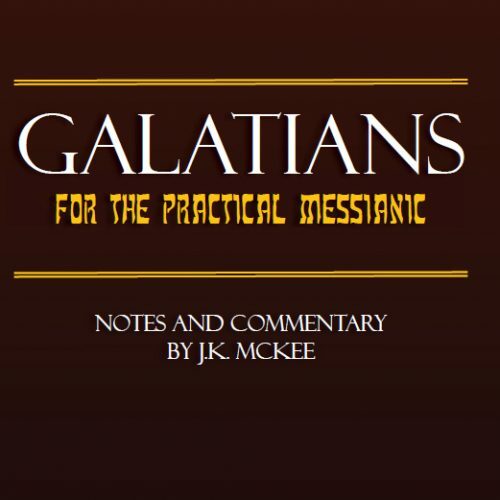 Messianic Apologetics editor J.K. McKee offers a compelling examination of this letter, appreciating the perspectives of Law-positive Christian traditions which have preceded us, but one which is also engaged with some contemporary perspectives. These include proposals present via the New Perspective on Paul, studies and thoughts regarding the “I” of Romans ch. 7, egalitarian views regarding figures such as Phoebe and Junia in Romans ch. 16, and most especially current Messianic handling of the topic of Israel in Romans chs. 9-11. 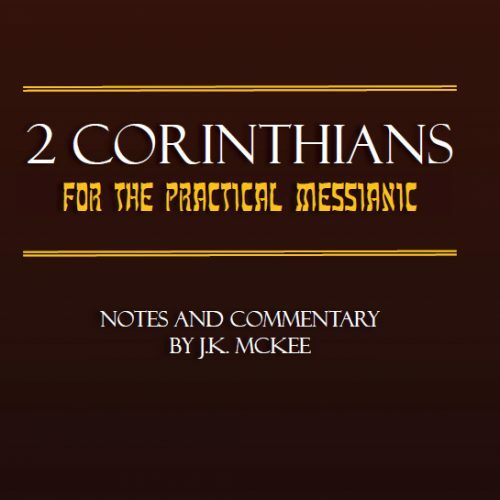 Romans for the Practical Messianic is a commentary that should be welcome in many Messianic libraries, as it interjects some well needed information into our developing theology of both Paul and the mission of God. Also included in this commentary is an exposition on Acts 28:11-31: Paul’s arrival in Rome.